You may need a bit of help here to de-confuse the E numbers. The E90 is the current 3 Series saloon. The E91 is the Touring. And the E93 will be the forthcoming coupe-convertible. 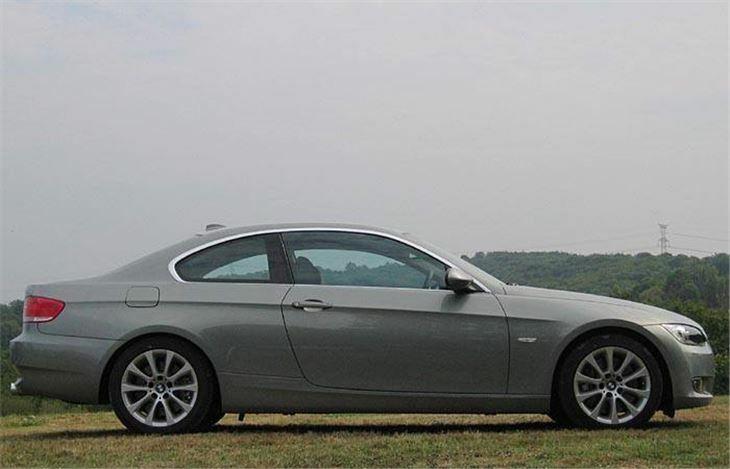 Unlike previous 3-Series coupes, the E92 shares no body panels at all with the saloon. It sits on a long wheelbase, helping reduce pitching over undulations. 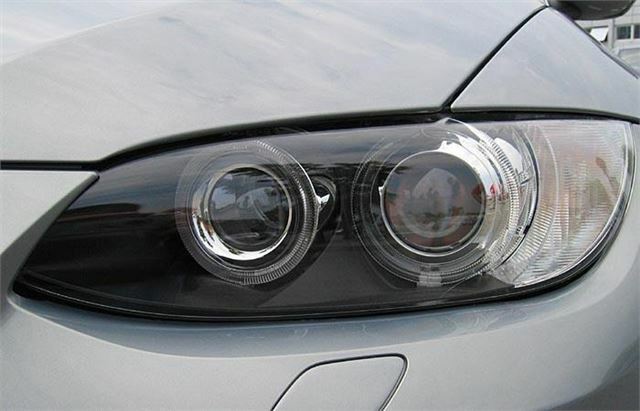 Somehow it’s been “de-Bangled” of the sometimes-odd styling quirks of all recent BMWs. You don’t have to persuade yourself it’s a good-looking car. It simply is. 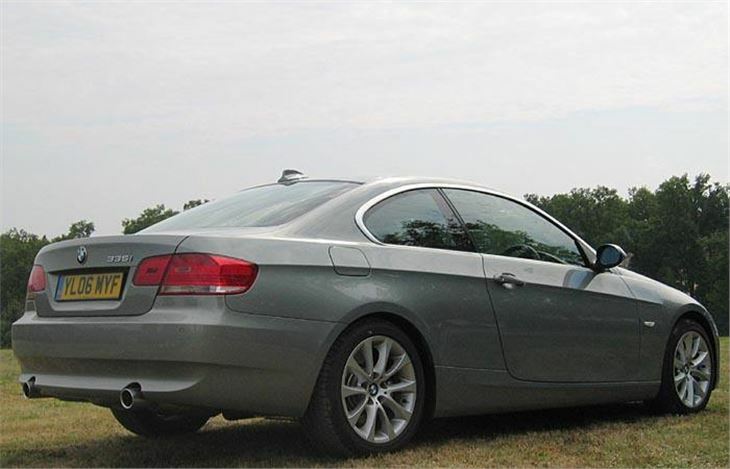 Though a bigger car than the E46 coupe, on average it’s ten kilos lighter. And it’s very practical, too. There’s plenty of leg and headroom both front and back for four full-sized people. 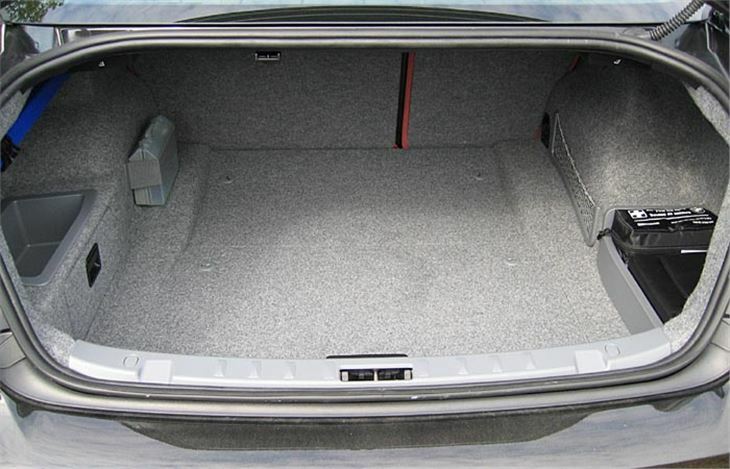 The long, deep 440-litre boot seems almost as commodious as a VW Jetta’s. The back seatbacks fold down individually. 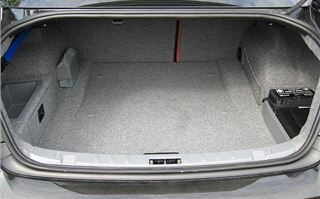 And between then there’s a ski-hatch. I didn’t have any golf clubs with me but reckon you could get four bagfuls in lengthways if you needed to. It’s easy to get comfortable behind the wheel. An electric arm passes you your seatbelt. 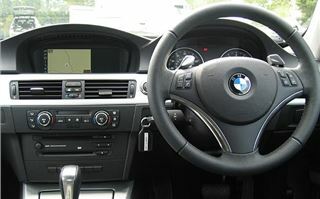 All the controls fall naturally to hand, except the gearstick, which, as in the E90 and E91, is about an inch too far back and can leave you brushing the iDrive button when you change gear. 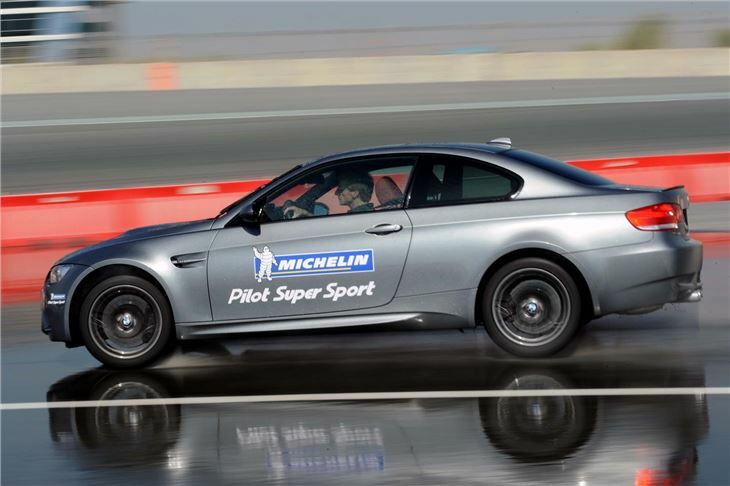 The first E92s to the market will be the 218hp 325i and the 306hp 335i. These are the cars we tested. October sees the arrival of the 272hp 330i, the 231hp 330d and the 286hp 335d. 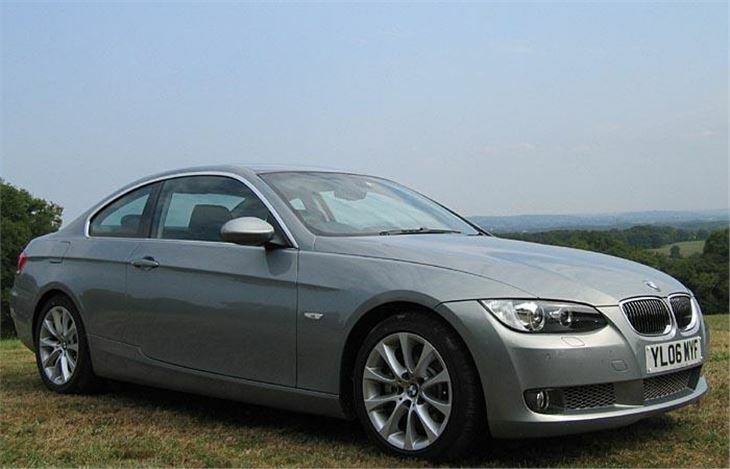 Then in Spring 2007, the four cylinder 320i and 320d will finally reach a showroom near you. The cars all come with a standard 6-speed manual transmission or a new 6-speed automatic with ergonomic thumb and fingertip steering wheel shifters. Left to its own devices this box will change down four gears at once if you floor it from 50mph in 6th and will learn from the way you drive the car how you want it to behave. With the twin-turbo 335i engine it’s sensationally quick, offering 0-60 in 5.3 seconds, yet a reasonable 29.7mpg combined if you take it easier. It’s also beautifully flexible, delivering maximum torque of 400Nm (295lb ft) all the way from just 1,300rpm to 5,000rpm. So it has better than diesel torque delivery as well as a high rev limit of 7,000rpm. Flooring it on the motorway we saw an indicated 160mph in no time at all (true speed-limited 155), a speed at which the car was rock-steady. But the 6-speed manual is the real peach. That allows you to exploit the creamy smooth power delivery exactly the way you want to without the box changing gear half way round a corner. It’s a lovely, precise shift, allowing easy block changing and the whole car feels beautifully balanced, its informative steering telling you exactly which of the four wheels is close to or slightly past its limits of adhesion. 6th gives you a relatively relaxed 36mph per 1,000rpm cruise too, and a theoretical top speed of 182mph at 5,000rpm with the restrictor off. In comparison, the 218hp 325i is a much more sedate machine, especially on 225/45 R17 ‘comfort ‘ tyres. The engine is still BMW smooth and sweet, of course, but just doesn’t have the rompaway grunt of the 335i. And with the DSC off, understeer is much more apparent. Your reward is a combined mpg of 33.6 which is not at all bad from a four seat coupe with a 0-60 of 6.6 and top speed of 153mph. So does the car get the nod? Of course it does. Especially the 335i. It’s less powerful than an M3, of course, but the power delivery is so much nicer I’d have one in preference any day. 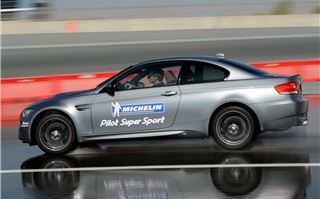 And if it’s a toss up between an E92 coupe and a CLK, for me, at least, it would have to be the BMW. In October I also got the chance to drive the 286bhp/590Nm 335 diesel coupe, availaible with the 6-speed autobox only. Another fantastic engine, and very well matched to the auto, whether driven using the ergonomic paddleshits or just left to itself. The wall of torque gets you past anything, yet you can still find yourself in relatively flat areas of power and torque delivery. It doesn't sound like a diesel from inside the car, and if you have not driven a 335i it will feel fantastic. 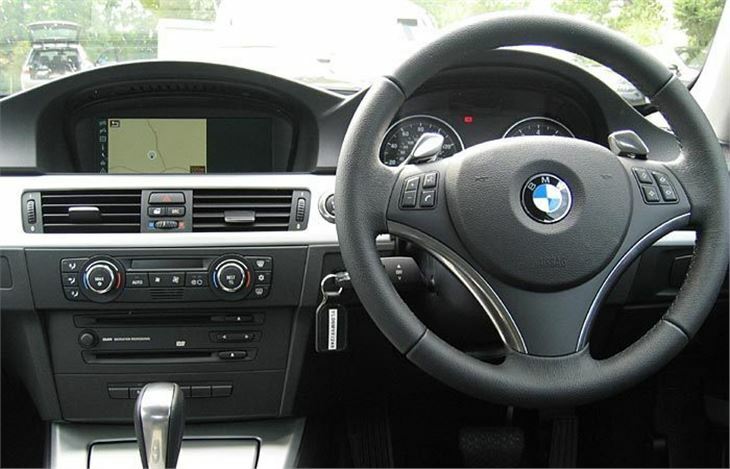 It will also suit drivers who must have an automatic because the 335d auto theroetically takes you 8 miles further on every gallon. But the sheer pleasure of driving the 335i manual does it for me. That's the one I'd go for, despite having to pay 27% more for my fuel.